Child Labor is like the infestation of cockroaches in your homes. You know it is there, but you won’t take any active measures to get rid of it until you see it firsthand. Much of the child labor going on in the world is the result of developed countries taking slivers of serious actions after finding out the child labor going on with the big corporations to provide cheap products with astounding qualities. The fabric industry has been the chief contributor among these with child labor in Asian and African countries like Niger, Bangladesh, Nepal and Zambia having some of the largest percentages of child labor forces. 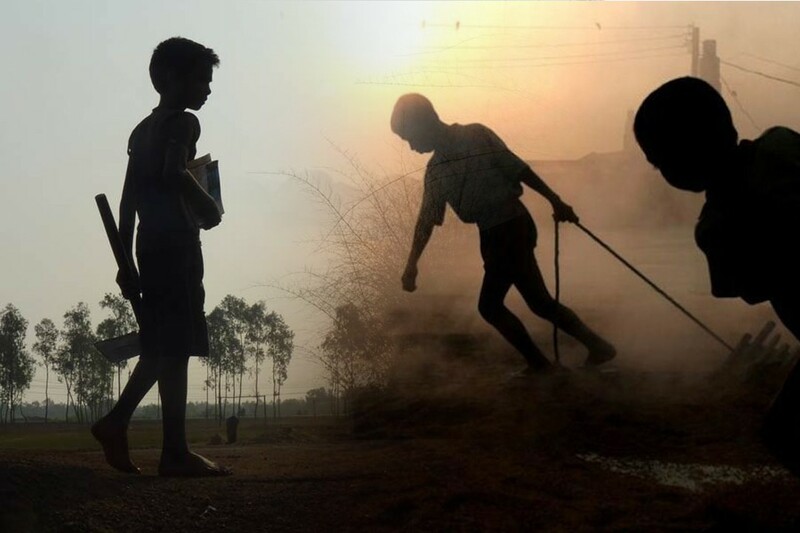 The international Labor Organization has marked the trend of progress against child labor in recent years, and you might be relieved to know that certain countries have made active or moderate advancements, but there are those that have made minimal and no advancements in progress of child labor. The department of labor has made extensive research and produced a report of over 1,200 pages to categorize and explain these trends to best of their abilities with the scarce amount of data that is available regarding child labor. You can visit the full report here, and I will implore you to take notice of this horrific tragedy that goes on while we appreciate the slim fit jeans that are in and out of trends every three months. Countries like Eritrea, Burundi, Niger, Somalia and Zambia fall in the category of countries that have achieved very little or no advancement. 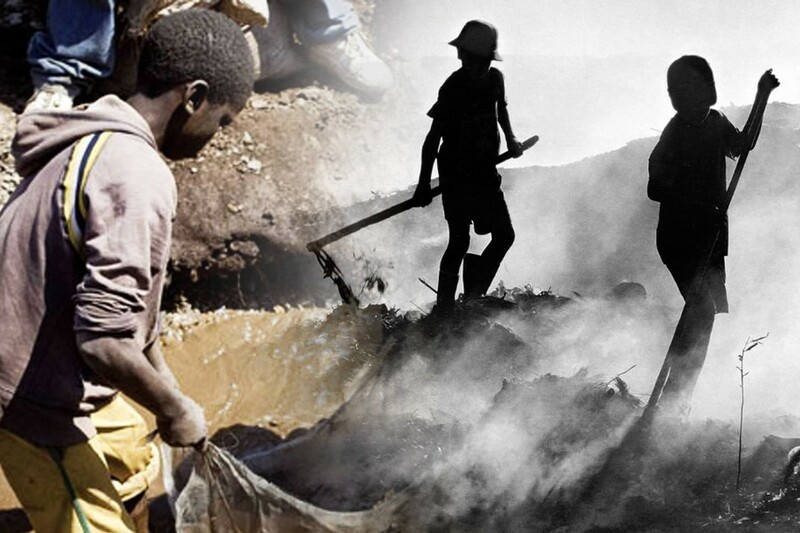 The fact of the matter is that these countries also feature in the list that has committed atrocious human rights violations against children with making them work in hazardous work conditions with jobs like mining to the worst of the worst, sexual exploitation. In fact, the governments of these countries have been hard pressed to stop these violators. Then there are countries like Afghanistan, Cameroon, DR Congo, Ethiopia, Bolivia, Pakistan, Benin and so forth that have made moderate progress in eliminating child labor. Even though the numbers have gone down in these countries, there are still places where children are forced to work in atrocious environments. 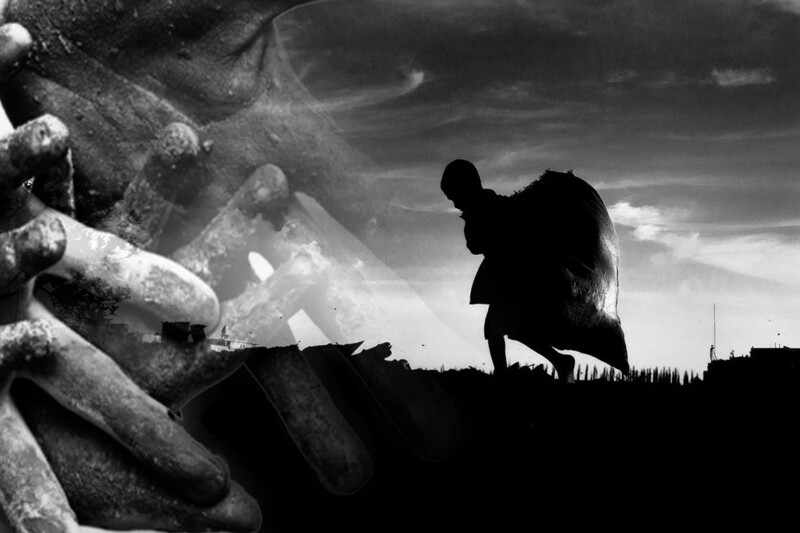 The good news is that there are several countries, especially in the western hemisphere, that has taken the fight against child labor seriously and have produced significant results in reducing the downpour of effects of human trafficking into child labor. Countries like Argentina, Cambodia, Guatemala, Panama and Chile have reduced their child labor force by more than half. Still, 150 million children worldwide are subjected to child labor while 85 million, more than half, work in conditions that are hazardous and tantamount to modern day slavery. However, there is a shimmering of hope. The child labor force has gone down from 246 million to 168 which is a cut off of 78 million in total. There is still a lot of work to be done nonetheless with child laborers in Asia and Africa alone being 137 million. Africa still has the 21% incidence rate which is far too bleak even for the modern times. The ILO director has aptly put that even though we are moving in the right direction, the progress is “Still too slow”. And if we are to eliminate this wretched tradition from our society, we have to significantly improve our efforts and attention to the cause. 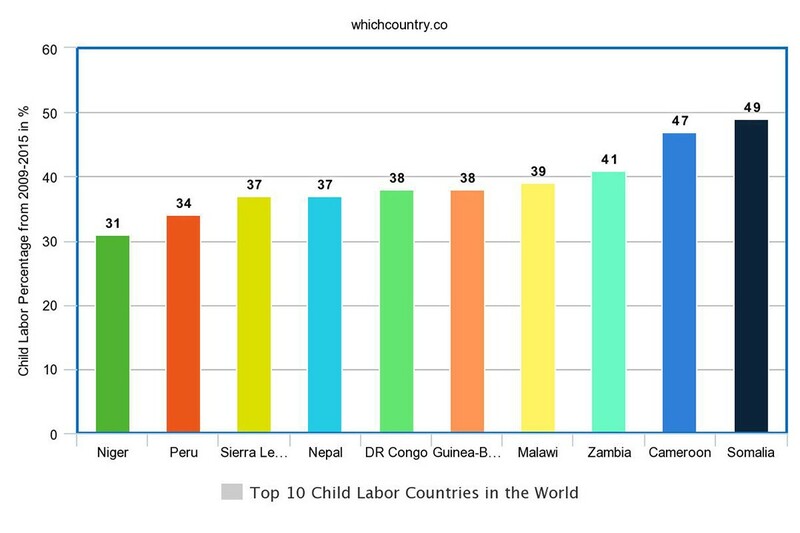 The following is an estimated figure of countries with highest percentages of child labor from UNICEF.